Your organization has finally decided to reap in the benefits of outsourcing to India. 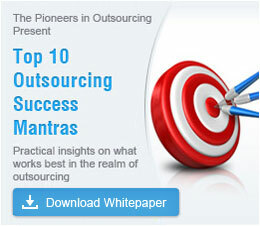 You have chosen India as your outsourcing destination and wish to start outsourcing projects as soon as possible. Now you have to face the challenge of travelling to India to meet your service provider, co-workers or customers. You are more apprehensive about business travelling in unknown territory, than doing business in India. You have absolutely no clue about India and just don't know where to begin. Take only what is essential, along with a couple of nice shirts and two business suits. You can ask your hotel for laundry or dry cleaning services. You will have less luggage to worry about getting lost or carrying through airports. You will also not have to endure delays in waiting for delayed luggage. Before traveling to India, meet your doctor and ask for appropriate vaccines. Getting vaccinated can keep you away from contagious diseases. Mosquitoes are prevalent in India as it a tropical area, so ensure that your doctor prescribes an antimalarial for you. Applying a mosquito repellent cream when outdoors can keep you away from mosquito bites. The 12 hour time difference between the US and India along with the long journey on the airplane can leave you disoriented. If you arrive a day ahead of your business meeting, you would have time recover from your jet lag and also have time to visit the famous tourist destinations of the city you're in. Avoid hiring an unknown taxi from the airport as there are several unlicensed drivers who might charge unfair prices, refuse to use the meter or who might even take you through a long route to charge you more. You can rent a car from the hotel you would be staying at and ask for the driver to receive you at the airport. Do opt for private taxis or cars from your hotel or a reputed travel agency to take your around the city. Always carry your passport, along with a credit card and some money in a money belt when you leave your hotel room. Even though you might be staying in a business hotel, you cannot be sure about the purity of the water. To avoid diseases, ensure that you drink only mineral water. Ensure that the cap is always sealed. India is a hot country and you might find yourself getting dehydrated, if you don't consume enough water throughout the day. Make sure that you drink only bottled mineral water and canned soft drinks. Whether it is laundry, booking tickets, making travel arrangements or asking for places to eat, don't hesitate to use the facilities offered by your hotel. Although this might be expensive in some cases, you can be sure that you are not getting cheated. Address your business associates in India by "Ms." or "Mr." along with their last name. In case you are not able to pronounce a particular name at the first shot, ask again and try your best to imitate. If your associates ask you to use their first name, please do so. Take time to unwind from stressful business meetings by enjoying the hospitality of your hosts and by visiting tourist destinations. Make your business travel to India memorable. Hope the travel tips from Outsource2india would help you have an enjoyable and successful trip to our country. Warm welcome to you!